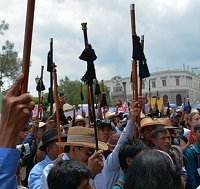 On Monday, June 23 in Guatemala, the Mayan People’s Council, known as CPO, declared a national strike in support of, and in solidarity with, the Mayan people of Guatemala. 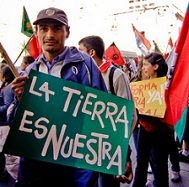 Local indigenous populations took to the street at 29 different locations all over the country in demand for equality in dignity and rights. “I just want all this to be over,” said Yakiri Rubí Rubio, a young Mexican woman facing trial for killing the man who raped her in December 2013. In the view of organizations working for the defense of women’s rights in Mexico, Rubio has become a symbol in the fight against machismo in the justice system, where the norm is to disparage the complaints of women who have been raped. Guilty of human rights abuses. 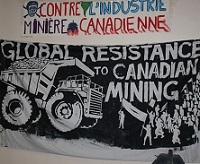 That was the verdict for Canadian mining companies, after two days of in-depth testimony presented in Montreal, Quebec, to a jury of eight experts from around the world.